The choir made famous for performing at the Duke and Duchess of Sussex’s wedding are entering the race for the Christmas number one with a new version of the song Holidays Are Coming. 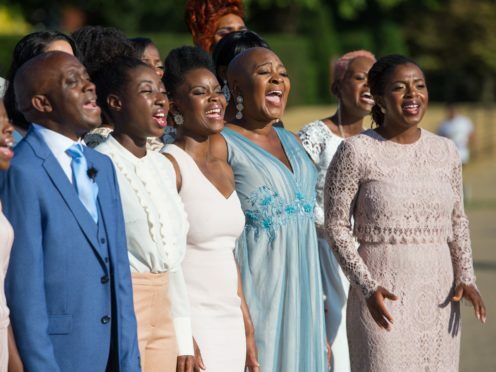 The Kingdom Choir have recorded the track, which is famously used in Coca-Cola’s Christmas adverts, and it will be part of the drink’s online promotional campaign. The new version will appear on its social channels and will be available to stream and download on Friday. The group shot to fame when they performed at the royal wedding in May. The bid for Christmas number one comes after the choir released their debut album Stand By Me in October. It features renditions of Beyonce’s Halo, John Legend’s All Of Me, as well as the title track of the album – their take on Ben E King’s Stand By Me, which they performed at the wedding. Also on the album is a ballad written by members of the Kingdom Choir called Chases. They will tour the UK in May next year and will play at the Albert Hall on the first anniversary of the wedding. The London-based choir was founded in 1994 by award-winning conductor Karen Gibson. 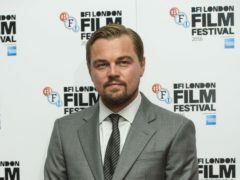 Other artists likely to be in the running for Christmas number one include Sir Elton John, who is rumoured to be providing the music for a Christmas advert, Ariana Grande, who is releasing new music from her album Sweetener, and Lady Gaga and Bradley Cooper, who have held on to the number one spot for two weeks with The Shallow from their film A Star Is Born.